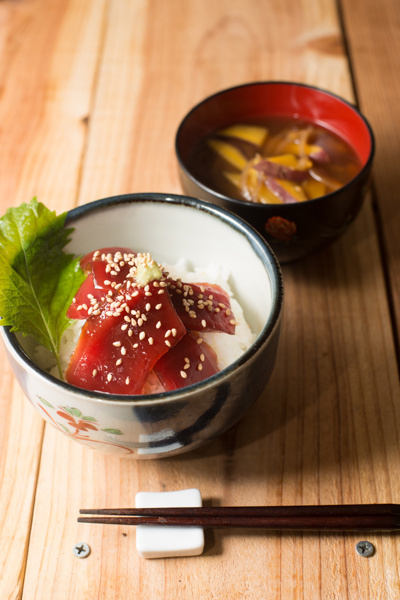 A blog from West Tokyo: Tuna Don, a kind of Donburi style dish. About rice, this time I didn't put any seasonings like vinegar or sugar, which we usually put when we cook sushi. It was casual style, only for my family. And Tuna, I dipped it with soy sauce and mirin, or sweet cooking rice wine for 2 or 3 minutes. It is said that we had better not dip more than that or Tuna turn to be blackish color. wow, your dish looks delicious. So simple yet very beautiful. It's nice to hear that you enjoy your home cooked meals so much after spending those few weeks abroad. I love your posts about food!